I am not surprised at all that Ba chiefs have responded the way they did to the proposal by the illegal regime. The proposal is naive and lacking proper historical and cultural appreciation of the Fijian social system and values. Firstly, the manner and circumstance in which such a dramatic change to the sharing of lease money is being approached, is sufficient to raise the ire of chiefs. Changes are being proposed by an illegal regime without any popular mandate to an arrangement that has been in place for a very long time. It is nothing more than a grab for a populist agenda to appease Fijians, especially in difficult economic times. Secondly, it must be understood the existing system is a delicate balancing between entitlements and rights of Fijians against the structuring of their social systems which makes them who they are. 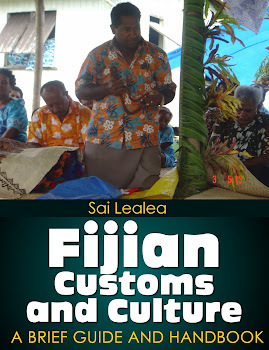 Woven around the Fijian social system is the concept of reciprocity, wherein each person has obligations and duties to the rest of the family and land owning unit for amicable and peaceful co-existence. At a practical level, chiefs have a leadership and oversight role over their subjects in return for the respect, homage and loyalty by the people. When properly discharged, this exchange provides the glue to what being Fijian is all about, especially at a village setting. Further, for the above to work, remuneration by way of entitlements from commonly owned assets such as leasing of land, need to reflect the differing roles and responsibilities of members. Thus it would make sense for chiefs to have a greater share of lease money in order to carry out their duties. It is no different to the illegal PM receiving greater share, though fraudulently, of the commonly owned asset (state tax money paid as his salary) than others in his illegal regime, as they perform different roles with different responsibilities. Thirdly and critically important, historical dimensions also play a role in how lease money has been distributed among land owning members. Chiefs right to decide life and death of members as well as entitlement to sell land pre-dated modern day government. Fiji's history is littered with land sales and relocation of whole villages resulting from a chief's decision, most of which were later upheld following the Cession in 1874. These rights and entitlements have since been pegged well back and in most cases vested in the State. In fact chiefs have given up such birth rights and entitlements in order to facilitate and agree to the introduction of modern statehood and government. In some ways, their share of lease money is in recognition of what they have given up. Take it away and you're creating a new set of injustice. Only worse when such an unjust situation will negatively impact the compact between chiefs and the people - the glue that binds Fijians. In the case of Fijian fisheries, it has yet to be returned to the people, like their land, as is their right. The Qarase government had begun to do this, but it was the Fiji Military in league with resort owners, who had opposed it. Therefore the proposal to alter the sharing of lease money will impact disproportionately on chiefs than the people. Reduction in their share of lease money will belittle their standing among their people, make it difficult to meet their responsibilities as chiefs, which in turn will be a slight and insult on their people. In essence, it reduces chiefs to the position of commoners. It becomes a zero sum situation where ultimately begs the question; Why have chiefs in the first place when we can all be the same? THAT IS WHAT COMMUNISM IS ALL ABOUT. CHIEFS from the country's biggest province do not want the lease distribution system changed. The issue was discussed for almost an hour yesterday after Commissioner Western Commander Joeli Cawaki told a meeting of the Ba Provincial Council that the Government was proposing to distribute lease monies evenly among all landowners. Under the proposed system, the turaga i Taukei and the turaga ni mataqali will no longer be receiving their normal 5 per cent and 25 per cent shares respectively. Commander Cawaki had said an awareness program would be conducted so all chiefs acould fully understand the concept. A majority of the chiefs present at the meeting said the lease distribution system had been in place for years and there was no need for the system to be changed. Ba provincial chairman Ratu Meli Saukuru said the chiefs and council have decided to submit their concerns and objection to the Office of the Prime Minister. "The council members have agreed to take the matter to the Prime Minister and we will be liaising with the Ba provincial office to file our submission on the issue," said Ratu Meli. "Most chiefs are against the idea and we will be following proper procedures to address their concerns." Chiefs that were present at the council meeting were Marama na Tui Ba, Taukei Naua of Saunaka, Tui Tavua Ratu Totivi Kama, Tui Vitogo and Tui Nawaka.